In the business of managing operations on a construction site, monitoring yields on a farm, or inspecting a roof for damage? You don’t need to shell out thousands of dollars and resort to inefficient, traditional GPS based capture methods — at least according to drone software startup DroneDeploy. The San Francisco-based drone startup Drone Deploy, which makes software to create maps and 3D models using images capturing from drones, released a white paper comparing the elevation and linear measurement accuracy of the DJI Phantom 4 RTK against traditional GPS based capture methods, using a ground-based Global Navigation Satellite Systems (GNSS) receiver. Their conclusion was that the DJI Phantom 4 RTK drone actually delivers the same — if not, better — results. Of course, DroneDeploy does have some skin in the game here, as they sell a product designed to assist in drone-based photogrammetry. But the results of their study are nonetheless interesting. What is the DJI Phantom 4 RTK? RTK stands for “real-time kinematic,” referencing a satellite navigation technique that can enhance the precision of position data derived from satellite-based positioning systems such as GPS. It’s used to achieve centimeter-level precision in the aerial images that your drone captures — essential for precision mapping. The DJI Phantom 4 RTK was released by DJI in October 2018, designed to use real-time kinematic processing to produce accurate aerial maps. 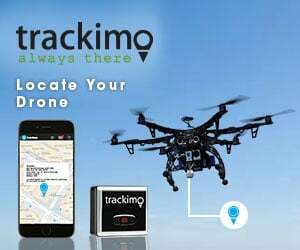 That drone uses a RTK unit plus a redundant Global Navigation Satellite Systems (GNSS) module to provide additional flight stability when flying in dense regions with poor RTK signal. DJI claims 1 centimeter RTK horizontal positioning accuracy, and 1.5 centimeter RTK vertical positioning accuracy (and 5 centimeter accuracy when flying at 100 meters with 2.7 centimeter GSD, on terms of absolute measurements on photogrammetric models). And like all of DJI’s drones, it’s ready to use, almost right outside of the box. Aside from charging up some batteries and registering your account, you can fly the drone almost instantly upon receiving it — no soldering tools or wonky cords to deal with. DroneDeploy researchers flew more than 30 flights over the same area using the DJI Phantom 4 RTK and DJI GS RTK App for the RTK flights. often requires placement throughout the entire duration of a project). A DroneDeploy researcher operating the Trimble system. After all that, the software company found the best solution is to use a DJI Phantom 4 RTK based on price, efficiency and accuracy. Interestingly, the Phantom 4 Pro with ground control points achieve the most accuracy. But DroneDeploy doesn’t recommend that solution for most people because, to achieve the precise level of data needed, operators would have to set up somewhere around 40 ground control points (GCP) per square kilometer. That could take several hours to place. (Spoiler, the DJI Phantom 4 RTK can potential reduces the number of GCPs needed to 0, which DJI itself says saves at least 75% in set-up time). How do I buy the Phantom 4 RTK? The easiest way to get your hands on the DJI Phantom 4 RTK is through New York-based camera store B&H Photo. The catch? They only sell the DJI Phantom 4 RTK Quadcopter with D-RTK 2 GNSS Mobile Station, which means you’re going to have to shell out more than $11,000. That’s fine if you wanted the D-RTK 2 GNSS Mobile Station anyway (that’s the price you’ll pay through any other dealer too), but if don’t need the extra mobile station, then you’re paying for more than you need — the standalone DJI Phantom 4 RTK costs $6,500. The B&H Kit is handy though as it includes the mobile station, tripod and a Nanuk hard-shell travel case, which has a $200+ value. Otherwise, the Phantom 4 RTK and D-RTK 2 Mobile Station are available through authorized DJI Enterprise dealers worldwide. If you don’t want to work with a dealer, you can also fill out a form to purchase through DJI’s website. Read DroneDeploy’s complete white paper here.